Super cheap flights to Australia! 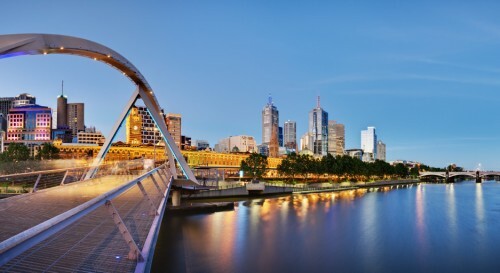 Melbourne for €646! Qatar Airways now offer very low prices on flights to Australia. You can book multicity flights Milan – Melbourne – Istanbul for only €646! You have to book your flight this week for travel periods from January till 15th June 2014. Alternatively, you can return also to Munich for €80 extra or to Vienna for approx €160 extra. There is one stopover in Doha but the flight is overally very fast with only around 20 hours duration. Book directly via Qatar Airways for the best price! Melbourne is not exactly cheap destinations but it offers wide range of accommodation so if you look around a bit you can find some pretty good deals for both hotels in Melbourne and cheaper hostels. « WOW! Return flights from Poland to Georgia only €25!